As a business owner, when you are planning to move the office to the new place. Then you may need to move some bulk items. 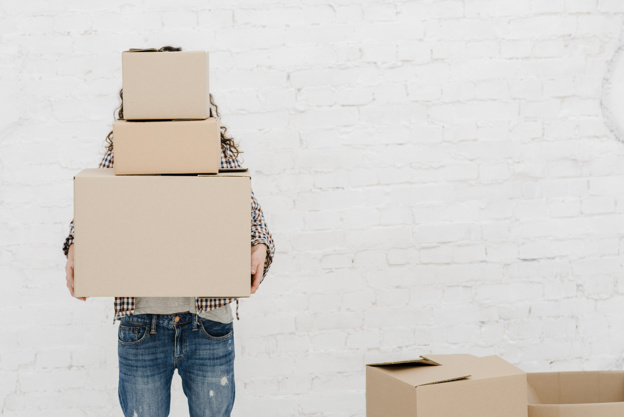 Here are some tips for you to move the heavy items by without making any disaster. # The first thing that you should consider is that packing the things. Make sure that the small items are first packed in the boxes. Have the reference number for each box to identify the things easily. This will save your time while unpacking the boxes. # Keep the things which you need upon the arrival with you. That is have the documents like recent bank statements, company letterheads, etc with you. This may be needed by you before the shipment arrives in the new place. Hence carry the important documents with you. # Don’t pack the things like food or liquid items. this will spoil the other items too. Hence make sure that you don’t pack any food items or perishable items while moving. When you pack the items like paint cans, varnishes, etc make sure that they are tightly held on the closed containers. # Beware of the delivery van window, Some vans may be very small and cant intake the large boxes through the small sized window. Hence choose the best van based on the volume of things that you have for the move. Choosing the large van also will increase your cost, hence choose the optimal van at the affordable price. # Final thing is choosing the best man and van company to move the items for a long distance. Choose the best reliable moving company like Big Yellow Express to move your items to the long distance smoothly and safely at the affordable cost. These are some of the tips for you to move the heavy items to the long distance safely in London.